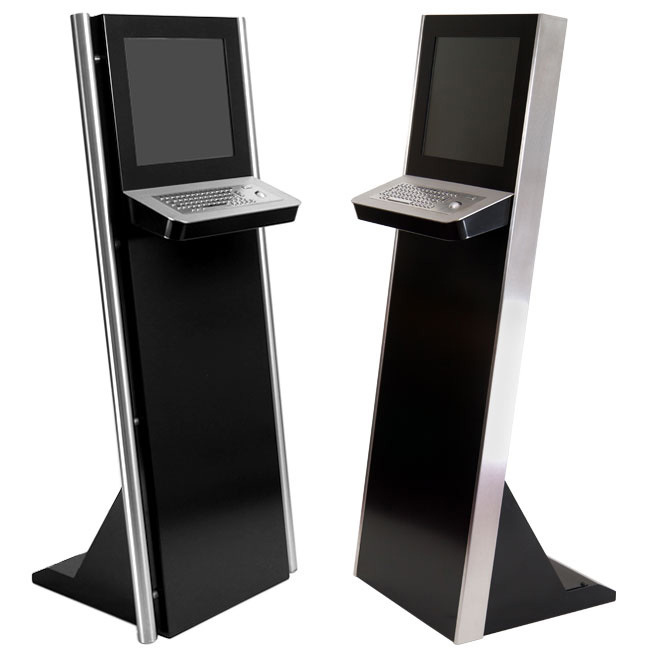 Web kiosks are growing in popularity rather quickly. Those Kiosks are convenient, and people find that they enjoy having control over their groceries, food order, movie tickets, or pretty much just about anything. It is becoming more common for people to turn to a kiosk instead of a human just to try and expedite things and make life a little bit easier. Have you ever pulled up to the movie theater only to see a giant line that is beginning to pour into the street, and you get into line and it seems to barely move? Now, most major theater chains offer kiosks inside. These kiosks can be used to either pick-up tickets that you ordered online, or it can be used to purchase tickets rather than going to the ticket booth. This line often moves much faster simply because people can select their ticket, swipe their card and be on their way. You do not have the hold up of people staring at the movie posters, counting out their cash, the cashier making change¸ or simply having to deal with the cashier being slow. The kiosk is automated and moves much more quickly. The grocery kiosk offers its own set of attraction. It has everything you need to get through the grocery line quickly and without headache. You scan through your items, select fruits and vegetables, insert coupons, and you can easily make a payment no matter what type of payment that you require. These kiosks are not only available in grocery stores, but they are also available in all kinds of places such as home improvement stores. Setting up a kiosk for your store can be costly, especially if you are purchasing an entire cabinet style kiosk. Kiosks that you see at the Movie Theater or grocery store are rather expensive to purchase. They will eventually pay for themselves since you will not have to pay a person to maintain the line at all times, but it is still a rather large upfront investment. This is why many stores and restaurants have avoided purchasing the kiosks for they feel that they cannot currently afford the investment. What type of kiosk do you want to build? Are you using the tablet as just the monitor, and maybe want to install a separate keyboard? Is your tablet going to be the entire kiosk setup? Just keep in mind that you want something that is easy to handle and see so a small tablet is probably not the best choice where a kiosk is concerned. What kind of Software are you going to use? There are several ways that you can launch your kiosk. You can download purchased software, or launch it from the web or app. A web based tablet will need some sort of lock so that customers cannot use the tablet for other purposes. There are several options available such as Surefox that will help lock down your tablet. A kiosk is a great addition to any business, and can save a great deal of money over time. It is important to know that you do not have to purchase the most expensive item in order to have success with it. Search the price of tablets and when you find a good deal that will fit with what you need for the store than purchase it. You will be well on your way to having a kiosk setup in your place. Author Bio: Jason Phillips has authorized this post. He is fond of following the latest trends in technology especially on gadgets, touch screen kiosks and social networking. Writing is his passion and he writes for many websites and blogs.